Pauline Nditi and Her Family Thank You, GHP Donors! Pauline Nditi is a 14 month old child who was born with hydrocephaly. She lives with her family of 4 in a one room house in remote, rural Kenya. Hydrocephaly is caused by a buildup of cerebrospinal fluid that compresses and damages the brain. Without treatment, Pauline’s outlook would be very poor. Thanks to Global Health Partnership’s generous donors this child was diagnosed, referred, and supported for surgical treatment of her condition. She has made a full recovery and now is expected to lead a normal life. Thank you, GHP donors, for saving the life of this child. You have saved her entire family. They are most grateful. Many thanks to GHP’s donors. You change the world. You allow children like Pauline to grow up and change the world too. Now, with your help, Musembi can go to school. This past March Musembi Katumbi underwent life changing surgery through the generosity of Global Health Partnerships. Because of developmental deformities of his legs, Musembi could not walk or stand on his own very well. As the oldest of three brothers, the only thing six year old Musembi wants to do is play with his brothers. Thankfully the surgery has given him the freedom to move and play. Although his knees still get weak after play, he is quite happy to be able to move around with limited pain. Musembi’s desperately poor family is extremely grateful that, thanks to the support of GHP, they are able to have their joyfully shy Musembi back. Attending school is now a reasonable dream for Musembi. He is still too weak to walk 3km daily through rough terrain. 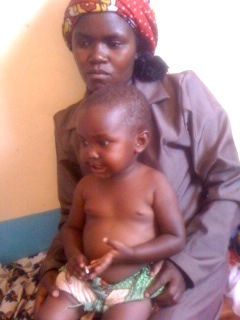 His family is seeking support for expenses to get Musembi back and forth to school until he is strong enough to walk. Your tax deductible gift to Global Health Partnerships will help Musembi and 50,000 more desperately poor people served by GHP. Please help bright young Musembi go to school for only 50⊄ a week. 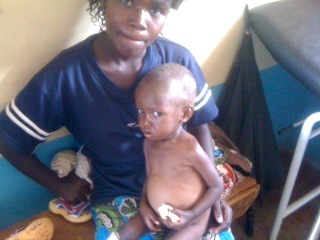 When Rebecca brought her 7 month old daughter, Mirriam Mumo, to Kisesini clinic, she was markedly underweight and had the muscle wasting and swollen abdomen typical of marasmus, or severe undernutrition. 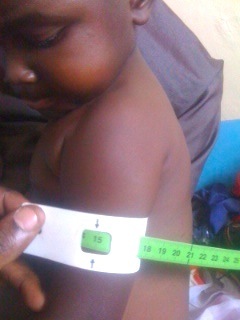 Malnutrition is best assessed by measuring the mid-upper arm circumference. After 2 months of therapeutic feeding with the supplements Plumpy’nut and Unimix along with nutrition education, Mirriam transformed into a normal healthy little girl. 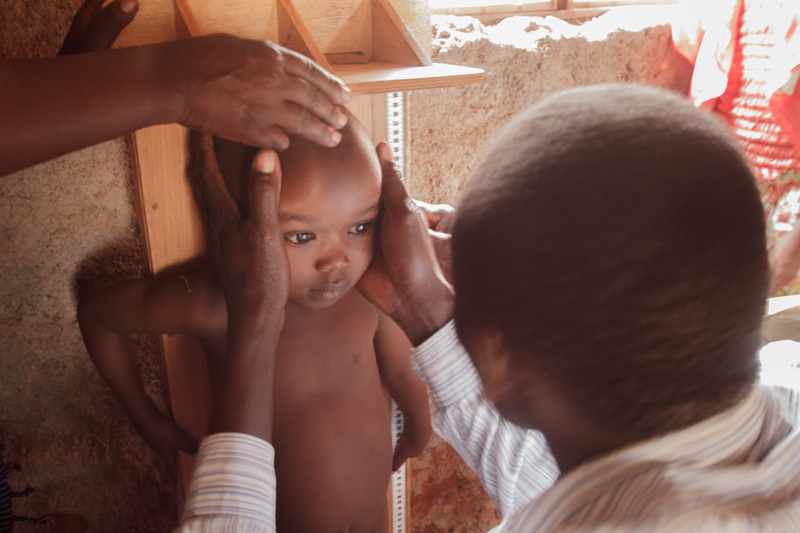 We know the cure for malnutrition. 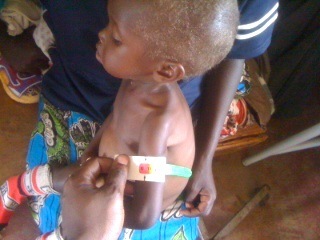 Please help us cure the acutely malnourished with the simple solution – food – by donating today.